Select Rebate Offers Available At This Time. Please Contact Us for Daily Specials. Here at Dvorson's we offer the lowest price of any Authorized American Range Residential Appiance Dealer. Our current special offer includes Free Shipping*. Please contact our American Range consultants for detailed information and guidance with your Professional Range cooking needs. 1-877-386-7766 or 415-332-5840 (monday-friday 9:00am-5:30pm PST). 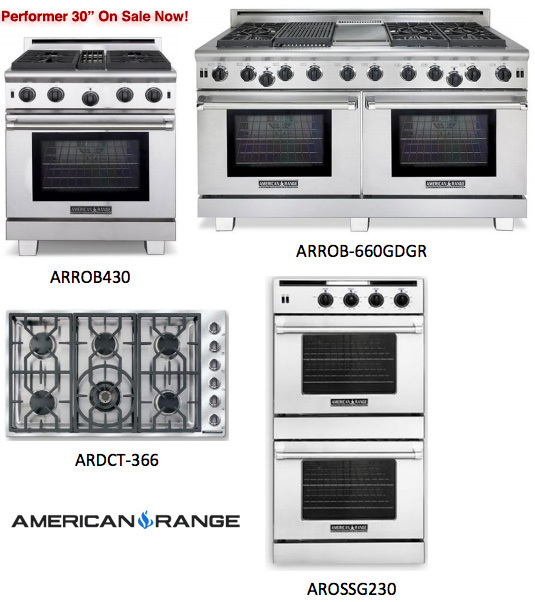 Our store and showroom for American Range Residential appliances is located in Sausalito, California. Click here for directions. *Free Shipping offer on Professional Residential Ranges is only valid for destinations within the contiguous USA.